This painting gave my 2014 exhibition it’s title. 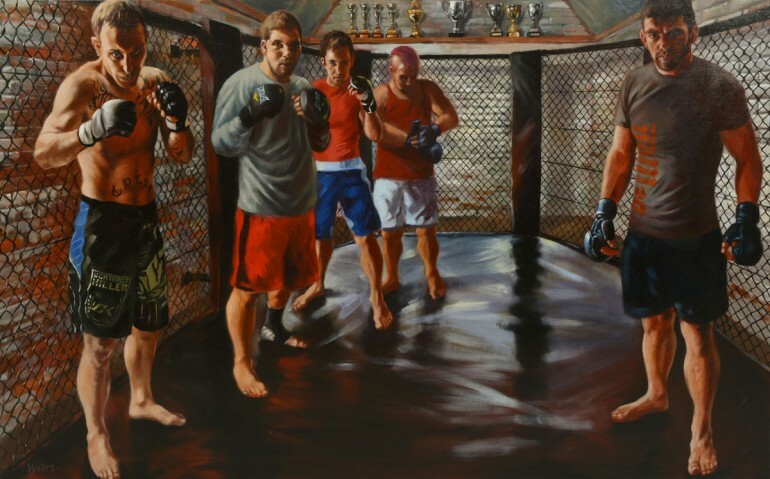 It depicts South Moreton Boxing Club’s mixed martial arts team. I have painted all the brickwork and cage in detail to give the work an intimidating atmosphere and a sense of “being there”. I have used strong tone and blocks of primary red to create drama. These young men are proud of their fighting prowess and I have tried to express this.